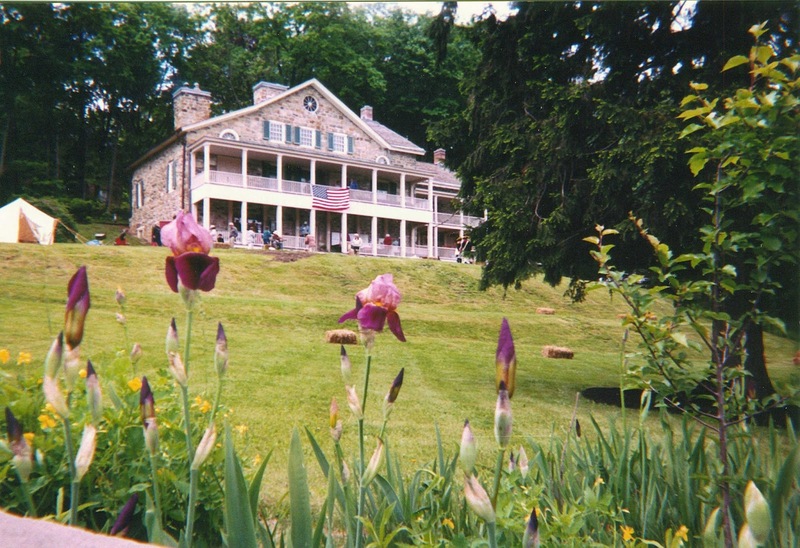 Weekend Historical Happenings: 6/8/13 - 6/9/13 ~ The History Girl! All things pirates! Learn the difference between privateers and pirates and then be one at the Tuckerton Seaport on Saturday from 10:00 am - 5:00 pm. Pirate history - authentic and make believe - plus a treasure scavenger hunt, games, costume contest and craft activities. Enjoy the crew of Valhalla Pirates with historical pirate entertainment. New for 2013... "Pirates for Sail" live band, Grog Garden and a tasty food court. General admission: adults $8, seniors $6, ages 5-12 $5, under five free and Seaport members free. The Tuckerton Seaport & Baymen's Museum is located at 120 West Main Street, Tuckerton, NJ. For more information, call 609-296-8868 or visit www.tuckertonseaport.org. The Fairview House on Main Street, Chatham (now the Library of the Chathams), was a luxury hotel of the past. Guests enjoyed relaxing days rocking on the porch in the salubrious air and boating on the Fishawack, known now as the Passaic River. Be a part of Fishawack fun with arts, crafts, local merchants, children's events and festival food. Be sure to visit the Chatham Historical Society (on the corner of Main and South Passaic) and learn about the rich history of Chatham Borough through their programs, books, photos, postcards, prints, DVDs coloring books and more - The festival runs all day on Main Street, Chatham, NJ. For more information, visit www.chathamnjhistoricalsociety.org. On Saturday, the Boonton Historical Society and Museum will present a walking tour of the Park Residential district. The tour will proceed along Rockaway and Reserve Streets in the Park section of Boonton and look at (from the exterior) 10 distinct homes built in the latter part of the nineteenth century. 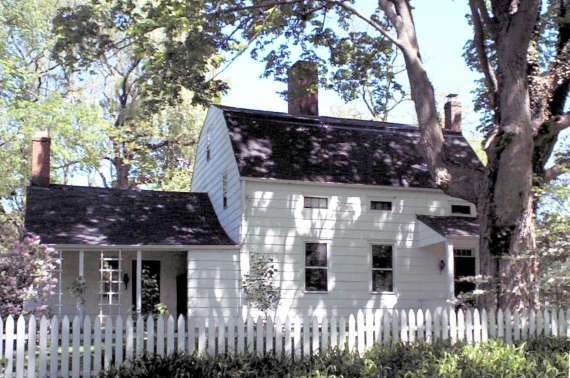 The tour will be led by Gail Yorkston who owns a home in the Rockaway historic district. The tour begins at 10:00 am at the Gazebo in Grace Lord Park at the intersection of West Main Street and Essex Avenue in Boonton. There is a $5.00 suggested donation for non-members for this tour which lasts approximately 2 hours. Tour participants will receive a 15% discount coupon, which can be used at many of the Main Street restaurants and vendors between 11:00 am and 4:00 pm on the day of the tour. The Museum and Gift Shop at 210 Main Street will be open from 12:00 noon until 4:00 pm, where the exhibit "Roots, Rocks, and Rust" is now in its final weeks. For more information call 973-402-8840, e-mail boontonhistory@yahoo.com., or visit www.historicalsocietyofboontontownship.org. On Saturday, join author Bonne-Lynn Nadzeika for a look at the history of Morristown as seen through postcards, including a slide overview highlighting stories and images featured in her book. To register, call 973-285-6930 or visit www.mclib.info/author.html. This free program will be held from 2:00 – 4:00 pm at the Morris County Library, 30 East Hanover Avenue, Whippany, NJ. For more information, visit www.mclib.info. Two days of family-friendly, interactive and educational fun are planned for Historic Cold Spring Village’s ‘FunFest Weekend,’ on Saturday and Sunday from 10:00 am - 4:30 pm. Children will be given a ‘Pastport’ at the start of their Village trip, which can be stamped at the buildings they visit after completing a take-home craft or activity, like writing with a quill pen, carding wool, or making a pinch pot. 'Pastports' can be redeemed at the Country Store for a free treat! 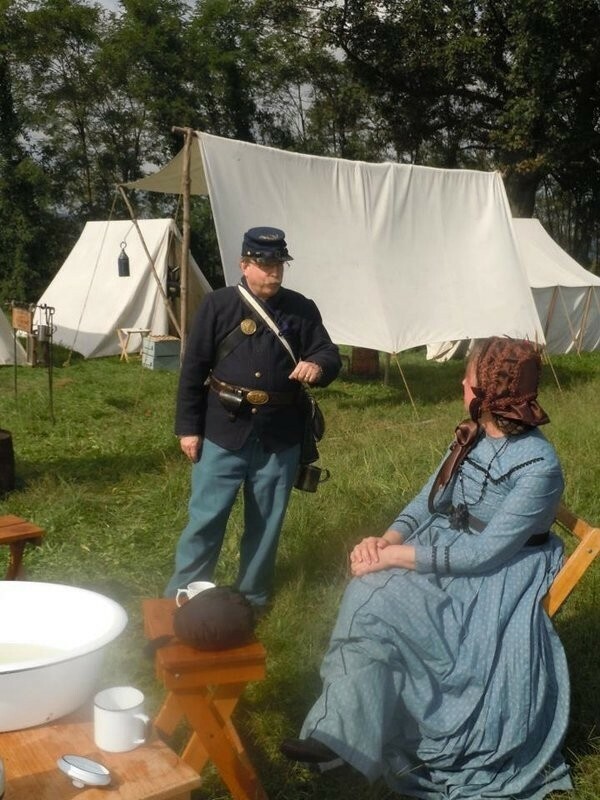 The Lambertville Living History Association presents its 14th Annual Civil War reenactment and living history weekend at the Holcombe-Jimison Farmstead Museum in Lambertville, NJ at intersection of Routes 29 and 202 on Saturday and Sunday. Walk through Confederate and Union camps to see the way the troops lived during the Civil War, and talk to reenactors to learn about the hobby and take the opportunity to discuss Civil War history with serious students of the conflict. Visit sutlers selling period clothing and accessories, attend period music demonstrations, and visit various displays of Civil War military medicine, battlefield engineering, as well as other period exhibits. President Lincoln will be addressing the troops 10:00 AM Saturday in the Union Camp. The event is open from 10:00 am until 5:00 pm each day. Weekend admission is $10 per person, with children 12 and under free. Proceeds benefit historic preservation as well as education. For additional information, visit www.lambertvillecivilwarreenactment.com or e-mail maryales@hotmail.com. The First Annual New Jersey Pirates and Privateers Weekend will be held Saturday and Sunday at the Ocean County Fairgrounds at Robert J Miller Airpark in Berkeley Township, NJ. Come meet Captain Jack and crew from the New England Brethren of Pirates! They will be at the festival both days for photos and autographs! There will be musical performances throughout the day, treasure and scavenger hunts for children, and storytelling! Also have the opportunity to meet with Mark P. Donnelly, a multi-award winning author, historian, screenwriter, and television producer as well as internationally renowned duelist, and swashbuckler. The life and times of New Jersey soldiers in the War of Independence will be featured at Shippen Manor Museum, the restored 18th Century iron master's mansion located in Oxford, NJ, on Sunday from 1:00 - 4:00 pm. Members of Helm's Company, 2nd New Jersey Continental Line, will discuss and demonstrate the drill, tactics, and weaponry of George Washington's infantry. The group, composed of reenactors from northern New Jersey, recreates a local unit that served throughout the war. Musket firing presentations will be offered throughout the afternoon. Tours of the Manor will be also be available from 1:00 - 4:00 pm, along with discussions of 18th Century food preparation by historian Sally Shutler. The programs are suitable for all ages. Shippen Manor is located ¼ mile west of the Rt. 31/Wall Street intersection in Oxford, NJ. The museum is open to the public on the first and second Sunday of each month, 1-4 pm, March through December. There is no admission fee. For more information, call 908-453-4381 or visit www.wcchc.org. New Jersey archaeologist Richard Veit will contrast the Delaware & Raritan Canal today and 40 years ago in a slide talk at the annual meeting of the D&R Canal Watch on Sunday at 2:00 pm. The meeting, free and open to the public, will be held in the lower-level meeting room of the old Lawrence Municipal Building, 2207 Lawrence Road, located on Route 206, just south of the I-295 interchange. Dr. Veit is associate professor of anthropology at Monmouth State University who specializes in the historical archaeology of the Garden State. A book written by his father, The Old Canals of New Jersey was the inspiration for a walk father and son took in 1970 along the canal from New Brunswick to East Millstone. Using photos taken during that walk, Veit will compare the canal of four decades ago, before it was a state park and listed on the national and state historic registers, to the canal of today. A brief business meeting and election of officers will precede Dr. Veit's presentation. Light refreshments will be served. The nonprofit D&R Canal Watch helps to promote, enhance and preserve the Delaware & Raritan Canal State Park. For further information, contact Canal Watch President Linda Barth at 908-722-7428 or barths@att.net. Pack your picnic basket and spend an afternoon at Bedminster's historic Jacobus Vanderveer House on Sunday from 11:00 am - 4:00 pm! Join reenactors outdoors under a period tent for a good old-fashioned colonial picnic. Tour the home, where vendors will be selling handmade soaps, knitted goods, glassware, jewelry, clothing and more. Enjoy Colonial music performances by Linda Russell. Playing the hammered dulcimer, mountain dulcimer, pennywhistle, limberjack and guitar, she brings life to the ballads, broadsides, marches, dance tunes and humorous ditties of the 18th century. Ms Russell served for many years as the balladeer for the National Park Service at Federal Hall National Memorial on Wall Street. In New Jersey, she has appeared at Morristown National Historical Park, Historic New Bridge Landing in River Edge and The Old Dutch Parsonage State historic site in Somerville. Her New York appearances have included the Carnegie Hall Folk Festival, the Metropolitan Museum of Art and Lincoln Center Out-of-Doors. Ms. Russell has recorded 8 albums of historical folk music, including The Good Old Colony Days, Christmas Past and Stephen Foster Songs. Visitors are encouraged to bring their food in a recyclable basket or container, along with a blanket or lawn chairs. This event is free and will be held rain or shine. Tge Jacobus Vanderveer House is located in River Road Park, 955 Route 202/206, Bedminster, NJ. For more information, call 908-212-7000 ext. 404 or visit www.jvanderveerhouse.com. On Sunday from 10:00 am - 4:00 pm, join the Historic Village at Allaire for 19th century school lessons, games, storytelling, a tea party, demonstrations, face painting, tours and more! The event is $5.00 per person, children under 6 admitted free! To register for our tea party, or for more info please call 732-919-3500. There is also a $5.00 fee to park. The Historic Village at Allaire is located at 4263 Atlantic Avenue, Farmingdale, NJ. For more information, call 732-919-3500 or visit www.allairevillage.org. This joint event with the Cosy Cupboard Tea Room of Convent Station will provide an inside look into the dress, lifestyle, and customs so adored in the hit television show, Downton Abbey at Acorn Hall on Sunday from 1:00 - 3:00 pm. Call the Cosy Cupboard to reserve your place, 973-998-6676. Tickets are $36 per person. Advance reservations are required. Acorn Hall is located at 68 Morris Avenue, Morristown, NJ. For more information, call 973-267-3465 or visit www.acornhall.org. It's their last program of the season! The Miller-Cory House Museum will present "Father's Day Craft for Children" on Sunday from 2:00 - 4:00 pm. Celebrate all of the contributions that fathers and father-figures make in children’s lives. The program will include making a festive Father’s Day card and a craft for a special person, as well as storytelling.